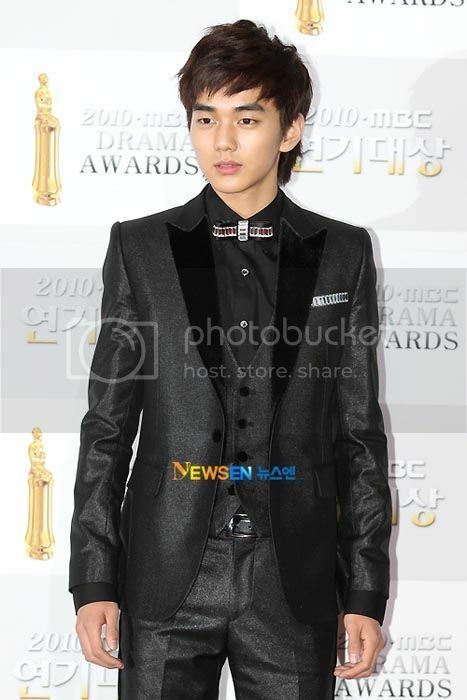 [Photo] Lee Seo Yeon Charming Dress Last Night at '2010 MBC Drama Awards'. [News] 2010 KBS Drama Acting Awards, 2010 SBS Drama Awards & MBC Gayo Daejun : 31st December 2010 Schedule Guide. As we reach the final days of 2010, Korea’s popular primetime channels KBS, SBS and MBC will be hosting a multitude of award shows to wrap up the year with a bang. With 2 programs on plates. 2 Drama Awards ceremonies from KBS, SBS and 1 Music Festival program from MBC Tonight. [News] KBS Drama Awards to be Broadcast Live Globally via iPhone. 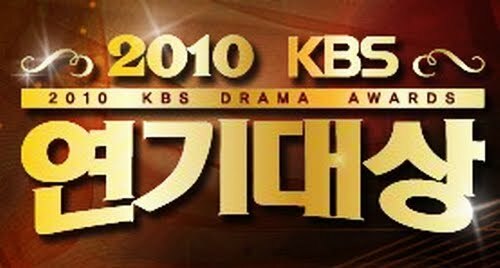 The Korean Broadcasting System (KBS) will make its 2010 KBS Drama Awards available live to iPhone subscribers in 55 nations. Japanese and English subtitles will be made available for viewers of the awards ceremony Friday night. Also during the drama awards, KBS will announce the results of a survey on foreigners' selection of the most memorable scene in a KBS drama. Even though the couple is said to be ‘just friends’, if the two should win the award, it would prove to be a great step towards a positive reception of the queer community in Korea! 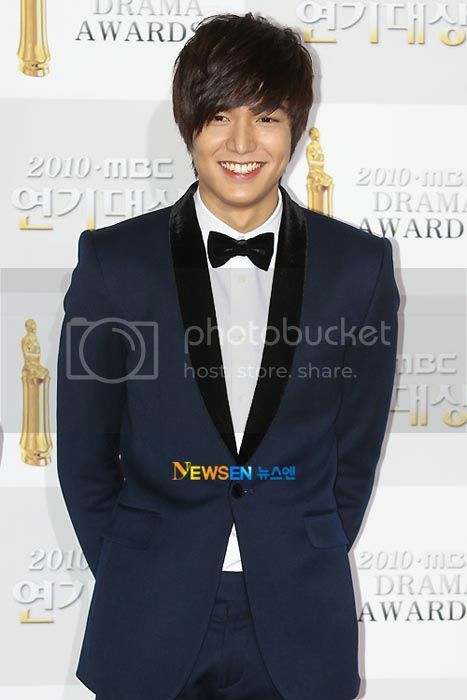 “2010 KBS Drama Awards”, scheduled to be broadcasted on December 31st. 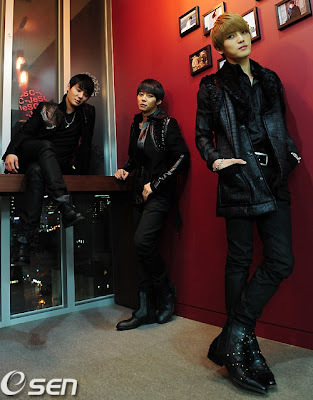 As they await their first public broadcast performance through KBS’s “2010 Drama Awards,” JYJ confessed to Osen that they were very excited for the stage. JYJ will be performing “Found You” at the ceremony scheduled for December 31st. 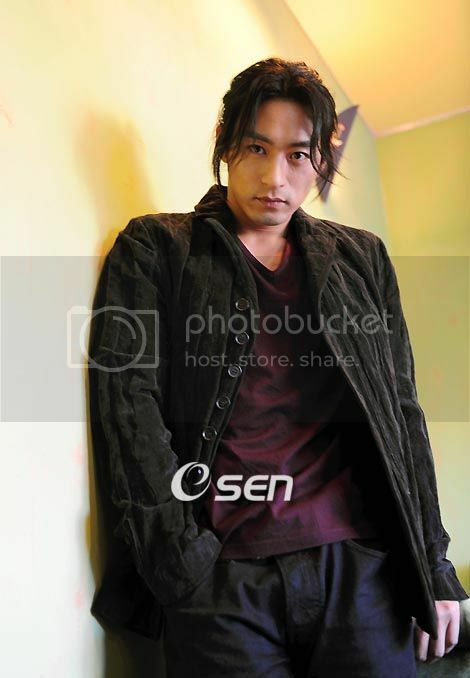 [News] Bae Yong Joon: 'I Realized My Dream of Fostering Actors Through ‘Dream High’. 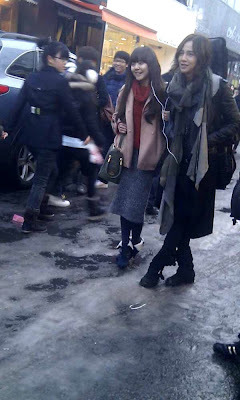 Bae had planned the KBS drama “Dream High” together with Park Jin Young. Bae Yong Joon definitely was in the spotlight at the production presentation of the KBS drama “Dream High” held at the Kintex on December 27. He participated as a creative producer of the drama, and he revealed that his personal goal to foster junior stars could be achieved by producing “Dream High.” He said, “I have been interested in educating entertainers. In particular, I have had the thought of establishing a professional school for fostering entertainers and I found out that Park Jin Young had the same thought with me, so we came to work together to make this drama.” The drama “Dream High” was co-produced both by Keyeast and JYP Entertainment, in which Bae Yong Joon and Park Jin Young are the largest shareholders, respectively. The variety drama will tell the story of how stars become stars. Students from various backgrounds find their talent at the Kirin Art School, a “star training” school, and they finally become stars in the drama. 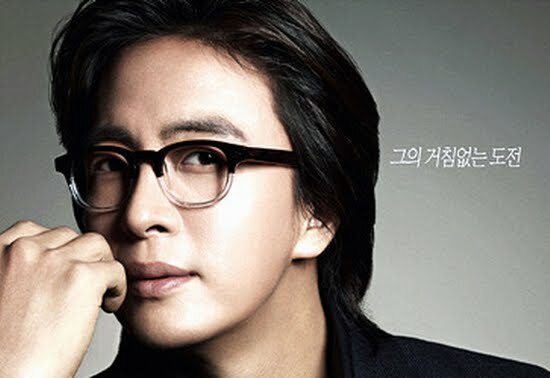 The production presentation confirmed the huge popularity of Hallyu star Bae Yong Joon. The big event hall, which was around 5,000 square meters, was filled with about 300 news reporters from home and abroad and about 500 fans from abroad. He attended the official event after a one year and three month break, so his fans coming from Japan, Hong Kong, and Taiwan attended the venue only to see him. For those fans from abroad, various celebratory performances were given by singers such as San E, Tiara, and Miss A, and a B-Boys group during the production presentation, and every announcement was simultaneously interpreted in Japanese. 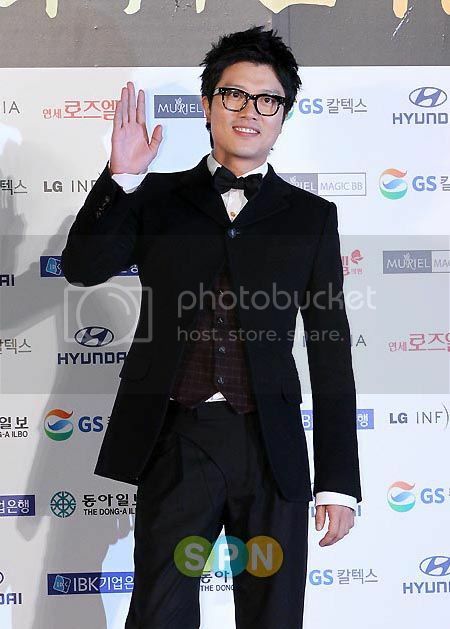 Bae Yong Joon, in black suit and white shirt, appeared with his characteristic soft smile while greeting his fans. Fans were extremely excited by his every movement. 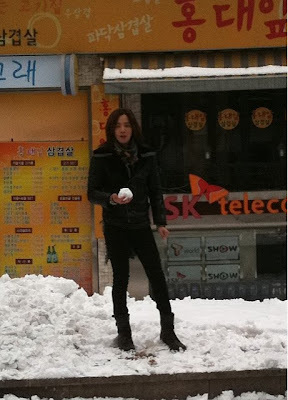 Bae Yong Joon emphasized that the protagonists of the drama would be students at the Kirin Art School. He said, “Those students who are dreaming of becoming stars are the protagonists of the drama, and we will only focus on the process of how they become real stars after going through conflicts and wanderings, and how they come to express their various emotions by singing and dancing. I think that reality and genuineness are the essential parts of a drama and students, who are actually singing and dancing even though they are new actors, have to play those protagonists. I believe that they will play their roles perfectly in the drama.” Bae Yong Joon will appear in the drama as a special guest actor named Jeong Ha Myung, who is the chairman of the board of Kirin Art School. 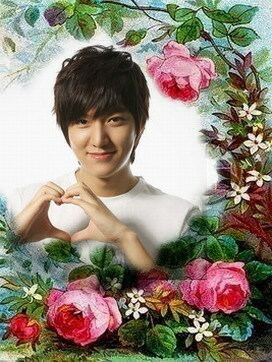 He will appear in the drama after a four-year break since his appearance in the MBC drama “Legend” in 2007. Jeong Ha Myung has the "Midas touch" when it comes to making students into stars and he holds an open audition for selecting students for the first time since the school’s foundation, and various students from different background come to enter the school thanks to him. Bae Yong Joon said, “I will play a character who always agonizes over talented students to help them follow their dreams. I could have special experience as a special guest actor for this drama. While I acted with junior actors, I found out that they had huge enthusiasm and talent even though they were young.” About the co-production with Park Jin Young, who also has the Midas touch when it comes to making star singers, he said, “I am fan of Park Jin Young. The Monday and Tuesday drama “Dream High” will begin its first episode on January 3 at 9:55pm on KBS 2TV. [News] Joo Jin-mo and Lee Da-hae cast in new historical film. Hallyu Star Joo Jin-mo and Lee Da-hae have been cast as the leads in a new historical film, according to the film's distributor Trophy Entertainment on Thursday. A press release by Trophy announced that Joo and Lee will star in the upcoming new movie tentatively titled "Coffee", based on the novel "Russian Coffee" by Kim Tak-hwan, about Korea's first barista woman who served the king in late 19th century in Korea. Joo will play the role of a brilliant swindler who is also a double spy from Russia, while Lee will take on the role of the barista. "Coffee", to be helmed by director Jang Yoon-hyeon, is based on the story about Imperial Japan sending spies to the Korean Peninsula to assassinate King Gojong (1852-1919) before he declared the independence of the country. King Gojong was known as the first to drink western coffee in the country which was provided by the Russian Embassy. He later built an additional guest house within the palace grounds to enjoy the drink and invite foreign diplomats. The movie also stars actor Park Hee-soon and actress Yoo Seon, will be filmed in Russia and Japan and set to open in local theaters during the summer of 2011. 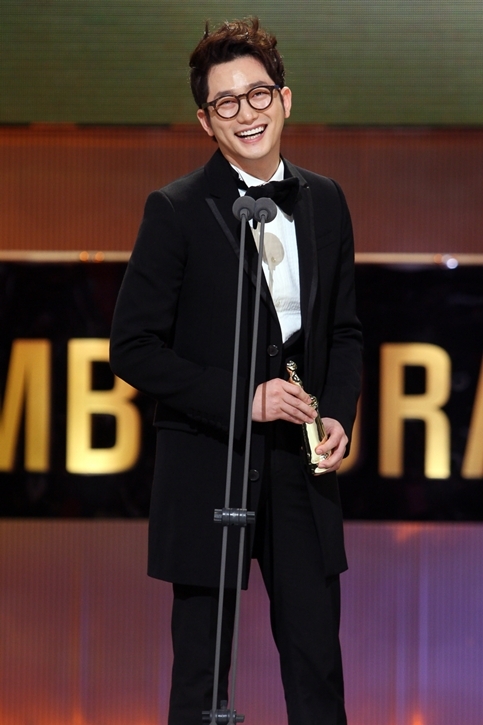 Born Park Jin-tae, Joo has starred in numbers of films and dramas since his debut in 1996, most notably movies "200 Pounds Beauty" opposite actress Kim Ah-joong and "A Frozen Flower" alongside actor Jo In-Seong for which he won the award for best male actor at the Baeksang Arts Awards last year. Lee made her debut in 2001 and starred in various dramas such as "Lotus Flower Fairy" and rose to stardom in Korea and throughout Asia with "My Girl". She also played the lead female alongside Korean actors Jang Hyeok and Oh Ji-ho in the hit KBS historical drama "The Slave Hunters". 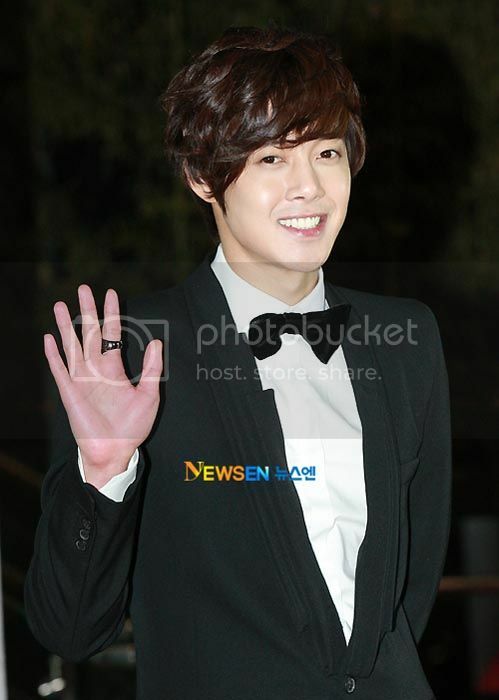 [News] 2010 MBC Drama Awards. It’s time for each broadcast station to put on their end-of-year awards. The MBC Drama Awards are first of the bunch, and man, Kim Nam-joo must be peeved. She finally gets her Daesang — and it goes shared, with Han Hyo-joo. Yeesh. 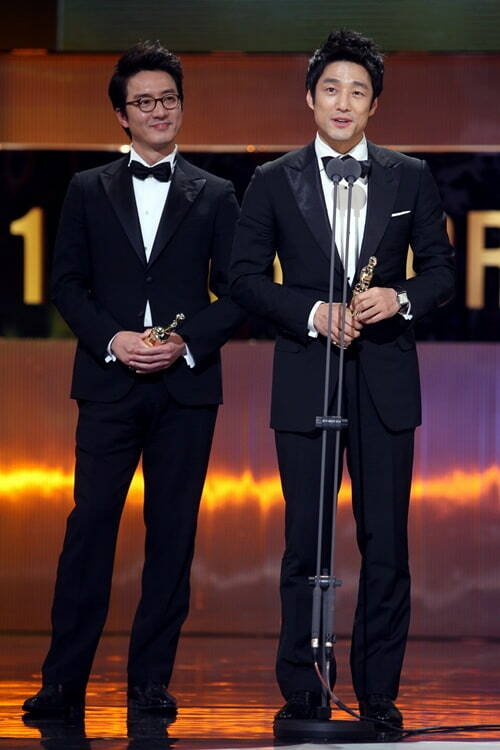 This is almost as bad as when MBC split the Daesang between Kim Myung-min and Mr. Hand Towel. First off, let me say that I did watch several episodes of Dong Yi and found Han Hyo-joo better than expected — not bad at all. Thing is, she wasn’t what I’d call great, either. Powerful enough to win the Grand Prize of the year? Not so much — certainly not over Shin Eun-kyung, who had to settle for a Top Excellence award. 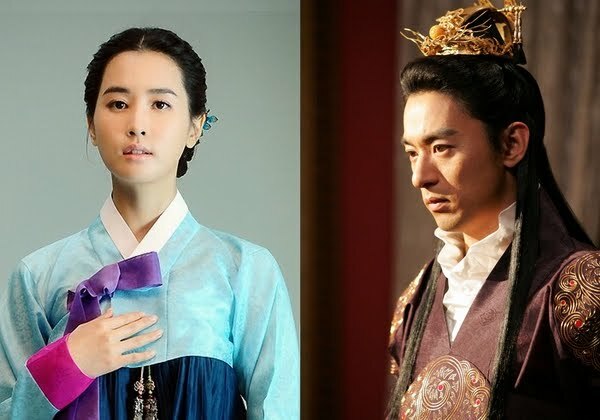 [News] Lee Da-hae cast with Joo Jin-mo in period film. Lee Da-hae’s role is described, interestingly, as a Joseon-era barista; she plays a woman who serves coffee to the emperor. In addition to Lee and Joo Jin-mo are the always-great Park Hee-soon (A Barefoot Dream) and Yoo Sun (Sons of Sol Pharmacy). Coffee / Ka-bi is based on a novel by Kim Tak-hwan titled 노서아 가비, which is the old way of saying “Russian Coffee,” and comes from director Jang Yoon-hyun of Tell Me Something and Hwang Jini (the movie version with Song Hye-gyo, not the drama starring Ha Ji-won). 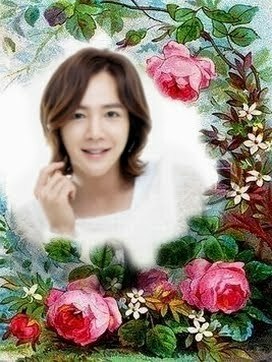 Boasting a sizable 10 billion won budget, the movie plans to begin filming in early 2011. Spies, coffee, period costuming? You’ve got my interest. Jang Geun Suk message 28 12 2010 : Empty again. It was different to how I expected it to be. Everything was not that easy. The you that kept watching me until the end. Thank you for your hard work. KBS Best Couple Award ; Moon Geun Young-Jang Geun Suk or Moon Geun Young-Chun Jung Myung ? Aside from nominated in KBS Awards, Moon Geun Young was also nominated in Best Drama Couple with Jang Geun Suk (Mary Stayed out All Night) and Chun Jung Myung (Cinderella's Sister). Jang Geun Suk and Moon Geun Young also known as 'GeunGeun Couple' or 'Holiday Couple' was gained more popularity than Moon Geun Young-Chun Jung Myung couple. Because of their unexplainable sweetness on the set of Mary Stayed Out All Night, they become a hot topic. On netizens opinion, Moon Geun Young will surely receive a couple award between the 2 choices, either Jang Geun Suk and Chun Jung Myung. 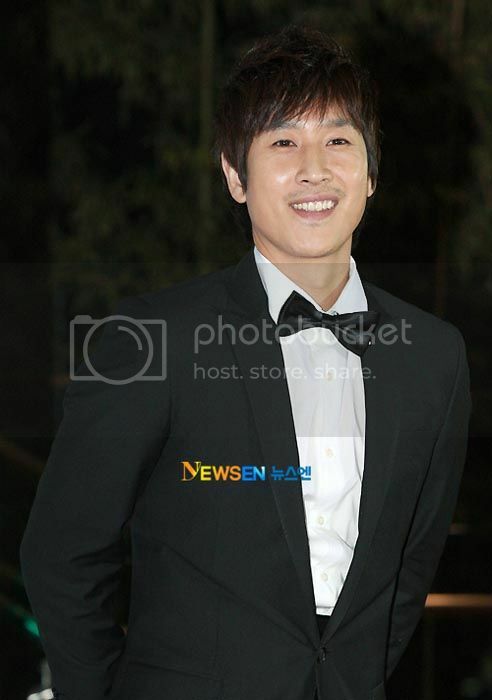 Meanwhile , KBS Drama Awards is scheduled on Dec.31,2010 10:15 that will be held on KBS Hall.